Adelphi University has chosen David Finkel’s Thank You for Your Service for their 2014 common reading program. The university will give a copy of the book to every incoming first year student. Most students will receive the book in its eBook format; the school will distribute access codes with instructions for downloading the eBook to a digital reading device. Students who are not able to access the book digitally will receive physical copies. Have questions about assigning eBooks for common reading at your school? Ask us! Do we owe anything to the men and women who return from wars? If so, in what ways is society living up to its obligations and in what ways is it failing to do so? The essay is the first written assignment for the First Year Seminar, part of a two-course, four-credit General Education Requirement designed to help new students “adjust to and succeed in college.” Additionally, students may submit their essays to be considered for the First-Year Academic Writing Award. 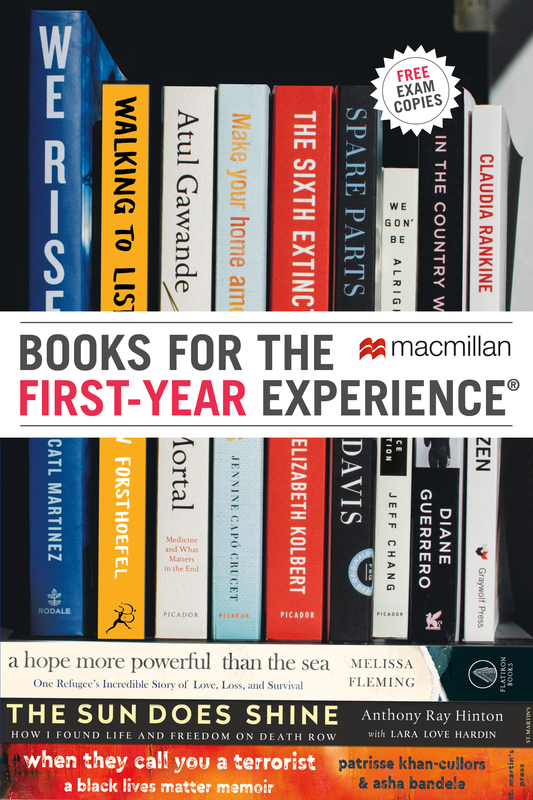 The First Year Experience Committee will award a $250 gift certificate to Barnes and Noble to one writer of an outstanding essay. The Collaboration Project comprises intellectual, social, and creative events, activities, and programs that are tied to one theme. The 2014-2015 theme is “The Changing Nature of War and Peace.” “Reading and discussion of [Thank You for Your Service] will be cornerstones of Adelphi’s year-long focus” on that theme. The events lineup features film screenings, musical and dramatic performances, civic projects, and lectures, including one given by David Finkel when he visits campus in October. Click here to see the schools that have adopted David Finkel’s first book, The Good Soldiers, and other Popular Picks from Macmillan, including another book with a military theme, Rye Barcott’s It Happened On the Way to War.